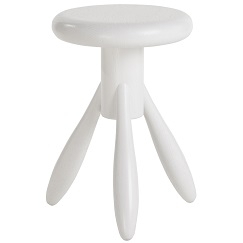 EA002 "Baby Rocket" designed by Eero Aarnio for Artek is a bar stool whose sturdy puffy shape seems inviting to seat down and is the Rocket bar stool's sweet little sister. 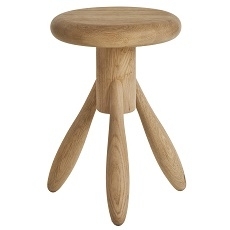 Eero Aarnio is not very known for its wood products, but the Rocket stools show that Aarnio is skilled also in this field. 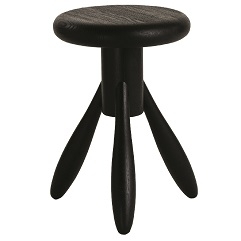 Rocket is a bar stool whose sturdy puffy shape seems inviting to seat down. Aarnio originally designed the Rocket stool for his kitchen and it became part of Artek's selection after Tom Dixon saw it in Aarnio's kitchen.